Añadimos el aceite de pescado también para proporcionar las tan necesarias y nutritivos ácidos grasos omega3 esenciales. Pollo (61%), salmón (6%), atún (4%), Minerales. 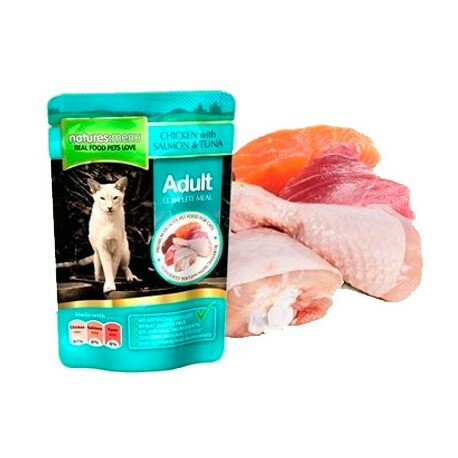 Natures Menu Cat Pouches contain at least 70% real meat. Cats are true carnivores, so the more meat the better! They have no need for added fillers. Our cat pouches are filled with our top quality raw ingredients and then steam cooked to ensure the nutrients stay within the pouch itself. They contain the correct balance of vitamins and minerals to help maintain a healthy active life. 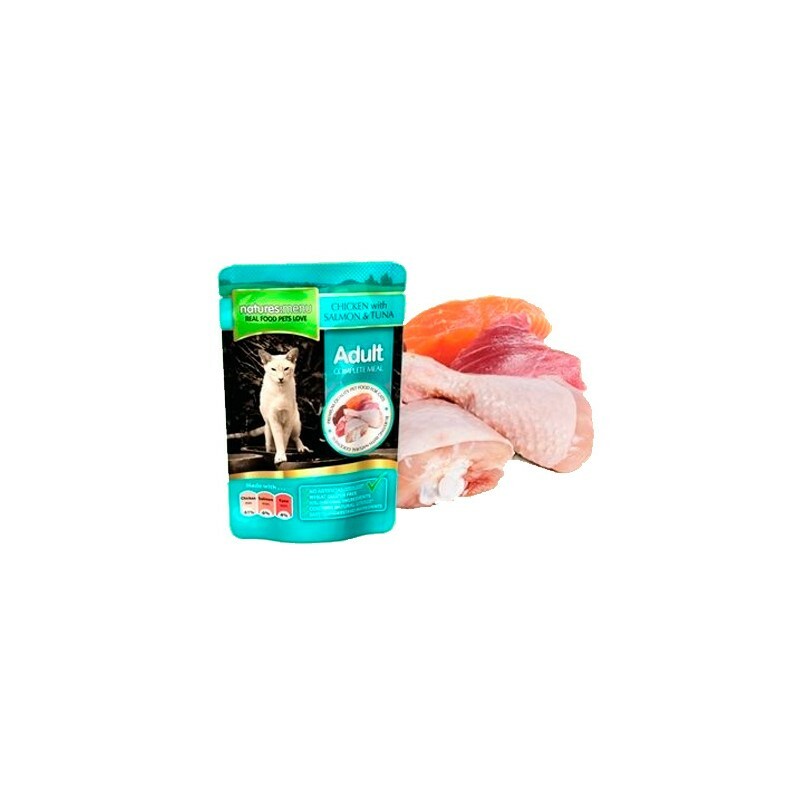 Cats have a nutritional requirement for Taurine in their diet and all of our Natures Menu cat pouches contain the correct balance of Taurine. Vitamin D3 (320iu/kg), Vitamin E (30mg/kg). Trace Elements: Potassium iodide (0.2mg/kg), Manganese oxide (2.1mg/kg), Zinc sulphate monohydrate (10mg/kg), Zinc sulphate monohydrate (10mg/kg). Cats love offal, Chicken meat and Chicken Livers, all of which are rich sources of nutrients not to mention extremely palatable. Procuro darles la mejor alimentación posible y sin duda Natures Menu es una gran opción. Alimentación completa, ingredientes de calidad, buen precio y a mis gatos les encanta.